Laptop computers have become a common and necessary device that almost everyone owns. Students use it to make researches and preparing assignments, professionals have it as their reliable partner in making reports, and housewives enjoy using laptop computers to browse new recipes and to catch up with distant relatives. Indeed, even with the launching of new mobile devices, none can beat the power and versatility of laptops, these days the best gaming laptop under 1000 have more computing power than some space rockets launched in the past. Hence, laptop owners should see to it that they properly care for their computers to prevent damages on laptop parts that could shorten the life of this electronic device. This article can provide you with some useful tips in caring for your laptop computers. Avoid letting the power cord get entangled with your chair’s legs. You might accidentally pull the laptop off the table and send it crashing down the floor. This can cause serious damages to the laptop parts, especially the laptop screens. Keep beverages away from your laptop. Accidental spillages can damage the electronic laptop parts. This can result to a short circuit that could corrupt all your data and even permanently damage the electrical components. In the same manner, also keep foods away from your laptop. You may not notice crumbs lodging in between the laptop parts, which could lure ants and other bugs to enter the circuitry and cause damages. Give the laptop screens regular cleaning. A dry microfiber cloth is enough to remove dust that has accumulated on laptop screens. If there are hard to remove stains, just damp the cloth with distilled water and wipe on the screen. Have your laptop computers cleaned annually by a service center too to remove dust that could have seeped into the internal laptop parts. Every time you close the lid, make sure that there are no items left on the keyboard that could damage the screen, like pens, earphones, or USB devices. These could cause scratches on the laptop screens. You should also make sure that you close the lid gently. Do not slam down the lid or you will be surprised to see a crack on the laptop screens or on the plastic frame the next time you open it. Hold laptop computers by the base when lifting or transferring it. Grabbing it by the laptop screens can damage the hinges that keep the monitor attached to the body. You should also use proper bags for your laptop computers. These bags are designed to give your laptop computers the proper protection to avoid breakages and cracks caused by accidental bumps as you carry your laptop around. Another tip is to condition and charge your battery properly. 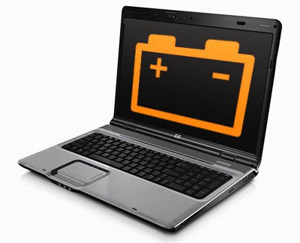 The battery is one of the laptop parts that require replacement ahead of other parts because users neglect to give it the proper care. Follow the proper conditioning and charging instructions found in laptop computers’ manuals. When plugging in external devices and peripherals, make sure that you connect them on the proper sockets in the laptop computers to avoid damaging the sockets, which could render them useless for future use. Aside from taking care of the physical laptop parts, you should also protect the software of your laptop computers. Install antivirus programs to protect the data and information that you have stored in your computers, as well as to keep your device running smoothly. This entry was posted in How to's, Technology. Bookmark the permalink.